Introducing The Reserve at Bay Point, an exclusive community within the private grounds of Bay Point. 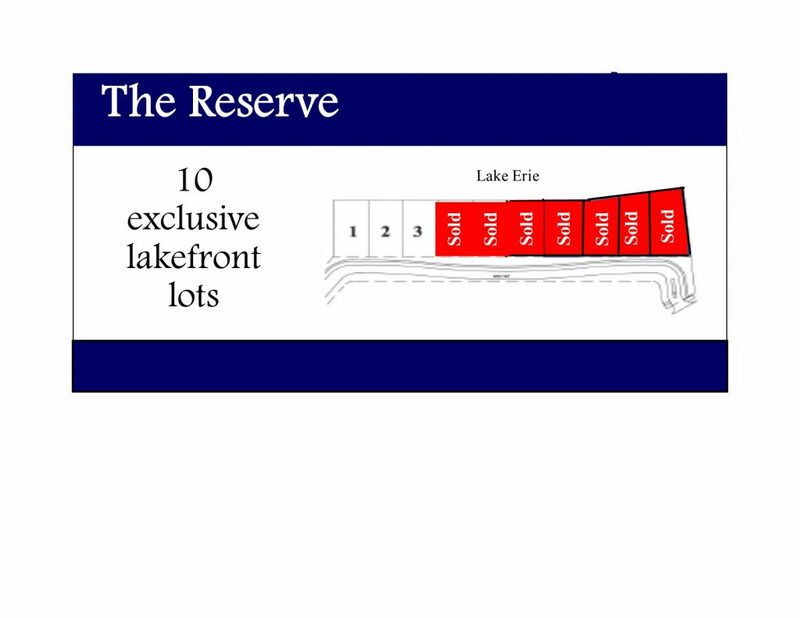 The Reserve at Bay Point consists of 10 premium lakefront lots offering unsurpassed views of Lake Erie and Cedar Point along the Marblehead coastline. Choose your own builder and build the waterfront home of your dreams. The Reserve at Bay Point offers the ultimate in Lakefront Living with unsurpassed views! Take advantage of this rare opportunity! Several lots have already been sold. Please contact: Bay Point Welcome Center at 419-798-4434 for current availability. The 227+-acre waterfront paradise at Bay Point Resort and Marina offers unique water access to both Lake Erie and Sandusky Bay, providing the finest in amenities. “These are the finest lakefront lots on Lake Erie and they won’t last long.” Please contact Bay Point Welcome Center at 419-798-4434 for current availability and to arrange a viewing.